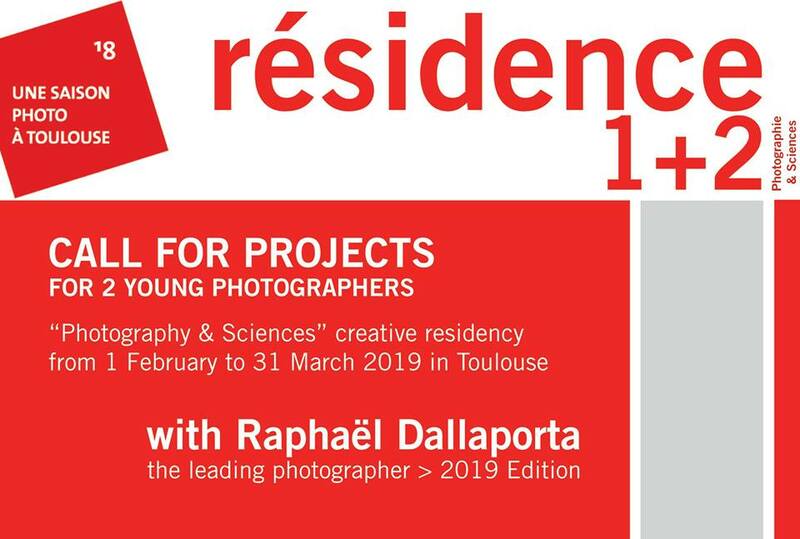 The aim of this call for projects is to select two young photographers for the 2019 “Résidence 1+2 Toulouse Photography & Sciences” residency programme alongside the well-known photographer Raphaël Dallaporta. The call for projects is open to students and graduates from photography and art schools or universities in France and Europe. The candidates should be in their final year of studies or have graduated no more than five years ago. All modern photographic styles are welcome. Free travel on public transport (metro & bus) in the Toulouse conurbation. A allowance of €750 per month in royalties + €15 for each day of actual presence in Toulouse. A technical team supporting each successful candidate. 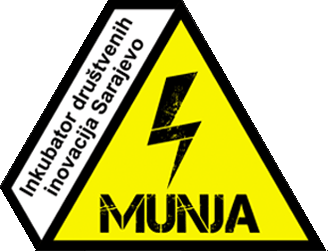 The technical costs linked to production and exhibition up to €2500, subject to the presentation of receipts. The photographs produced are exhibited. Between three and six of the photographs are added to the “Résidence 1+2” art collection. The original negatives and/or digital files remain the property of the author. The photographs that are part of the art collection may only be exhibited or reproduced to promote the “Résidence 1+2” or for the organisation’s educational needs. The publication of a book by “Editions Filigranes”, as part of the Residency’s annual box set (http://www.filigranes.com/livre/12-traversees/). 30 ouvrages individuels sont remis à chaque lauréat. Any workshops given in schools are covered by specific contracts and additional remuneration. The “Résidence 1+2” shall only use the pictures produced by the two successful candidates to promote the programme. The “Résidence 1+2” undertakes to contact each successful candidate to obtain their authorisation and to agree upon copyright conditions in the event the pictures should be used beyond this framework. A visual presentation file of previous work (1 or 2 coherent collections, each with 20 pictures maximum), in a single PDF file. A detailed note on their chosen subject linked to the Toulouse metropolitan area, in relation to the theme of “Photography & Sciences”. A written text addressing the following questions : 1/ What is your vision of this programme ? 2/ Why do you want to participate in this residency programme and what is your motivation ? 3/ What do you expect from the residency ? 4/ What do you think you can contribute to the other two residents ? The signed application form below – which serves as a preliminary contract. The application file must be sent by WeTransfer in PDF format (Mac/PC compatible and no software download required) to the following address : [email protected] – before 7pm on Friday 14 September 2018. Based in Toulouse, “ Résidence 1+2 ” is a Europe-wide photography residency programme linked to the theme of science. The programme is based on an original concept. It brings together three photographers every year (1 well-known photographer + 2 young photographers) and uses three types of media (an exhibition, a box set of three books, and a documentary). Over the course of two months, blending aspects of a residency scheme and a master- class, the three photographers respectively produce original artistic works related to the science of their choice (human sciences, social sciences, natural sciences, space sciences, etc.). During the two-month residency period, the three photographers live together, sharing their knowledge and their ideas. Consideration and kindness to others are fundamental criteria on this programme. Throughout the residency, in order to promote cross-disciplinary collaboration and drive their research and production, the photographers meet with scientists and organisations in Toulouse. The following autumn, the work produced during the residency is displayed during an exhibition. The exhibition is launched during an inaugural weekend, featuring several highlights. The “Résidence 1+2” programme brings together photography and science in order to produce and promote original artistic photography linked to the exceptional scientific heritage of the Toulouse area. « IEEEmadC: Okupi ekipu, osmisli ideju i osvoji nagradu!